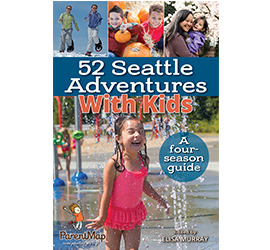 ParentMap newsmagazine is the award-winning monthly parenting publication connecting parents and the community around the Puget Sound region/Greater Seattle. In addition to our monthly magazine, ParentMap also publishes several special editions each year, as well as a growing collection of books on parenting, child development and family fun. ParentMap is also involved in the community, sponsoring programs such as our lecture series for parents, Preschool Preview Nights, our Education Fairs, and CampFair. Our Preschool Preview Nights were showcased on Q13 Fox News! We also publish two free weekly newsletters -- FUN and NEWS -- that offer great events happening each week and interesting content for families. We are proud to have partnered with KING-TV, the Seattle NBC affiliate, where we presented parenting information in a weekly segment, "Parent to Parent", every Monday morning.